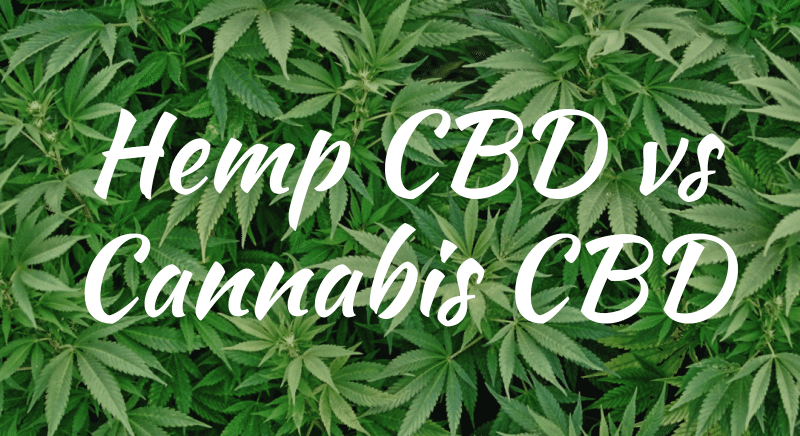 CBD or Cannabidiol is a complex compound found in the stem, flower, and seeds of the marijuana and hemp plants. Will CBD get me high? CBD is not psychoactive Unlike, THC. THC is a psychoactive compound found in high amounts in marijuana, and only a trace amount in hemp. In the U.S. hemp base CBD is legal. While CBD from marijuana is still illegal in most of the Country, that is quickly changing. Exactly how Cannabidiol works in the body is still blurry. What we can see, is that it reduces anxiety, pain and the psychoactive effects of THC. The complex compound affects multiple areas of the body at once. This is how it provides multiple health benefits. Studies have shown that CBD has neuroprotective and antioxidant affects. People continue to receive relief from symptoms of many health conditions and diseases. Hemp based CBD is an excellent Natural alternative to western pharmaceuticals. With no risk of side affects. Poke holes in sweet potato with fork or knife, place it on a backing sheet and cook at 425 degrees F for about 50 minutes. let cool a few minutes then remove peeling. Mash your potato with a fork add about 1 teaspoon of butter and a little salt (i used 2 turns of a sea salt grinder) and 1/4 cup of black walnuts. mix together, enjoy. boil 1 cup of water, add 1 cup of lentils. Reduce heat to simmer, cook for about 20 minutes or until lentils are tender but still firm. Drain excess water if any, then season with garlic powder, salt, and pepper. Boil 2 cups of water for 1 cup of barley. Add barley reduce heat to low boil. Cook barley for 20 minutes, there should be no water left in the pot. lightly salt. take 1/2 cup of lentils and mix in 1/2 cup barley. place next to sweet potato for a colorful meal. Fish, walnuts, flax seeds, pumpkin seeds and green leafy vegetables. Cinnamon, ginger, turmeric and chili peppers. I love putting a cinnamon stick in my water bottle. Vitamin D is important for calcium absorption. Calcium helps build strong bones and is used in muscle contraction. Nuts, beans, nut butters, almond flower, lentils, hummus and hemp seeds are all foods high in plant protein. Foods high in vitamin C also aid in the production of collagen. Such as, chili peppers, kiwis, lemons, thyme, Guavas, mustard spinach. 2. Foods that increase inflammation ….Run away..
grain fed animals are given antibiotics and hormones, which are then transfer to our bodies through ingestion. This trigger our nervous system that we are under attack, increasing inflammation. The grain and hormone diet causes the animal to gain weight but it also causes weight gain in people who eat that animal. Found in more pizza dough, white bread, crackers, pasta, breakfast cereals, flour tortillas to name a few. I am sure you could have guessed most of these foods… Always remember, everything in moderation. 1. Start by boiling 4 cups of water for two cups of Black beans. Cook on low boil for 1.5-2 hours. string occasionally.Season beans with garlic powder, cumin, oregano and salt. When the Black Beans are about 2/3 of the way cooked, start the barley. 2. In another pot boil 2 cups of vegetable broth, add 1 cup pearled barley and simmer for bout 20 minutes. Season with Curry powder, paprika and salt. 3. While Barley is cooking, chop 1 zucchini, 2 carrots, two bell peppers and 1/4 onion. coat a pan with EVOO, and stir fry vegetables over med-high heat. Season with Italian seasoning, salt and pepper. WHY Black beans? 1 cup of Black beans adds up to 15 grams of Protein, 41 grams of carbohydrates, and 15 grams of fiber. For slow burning energy, quick muscle repair, and healthy digestion! Woo! WHY Barley? Barley has more fiber, vitamins and minerals and less calories than most other grains. Its the perfect grain to fight diabetes and a nice pasta/grain alternative when trying to lose weight. I got some new kitchen toys, so of course i had to play with one immediately! 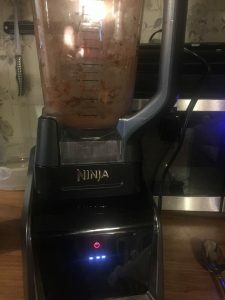 First thing I made in my new Ninja blender, was… VEGAN ICE CREAM. 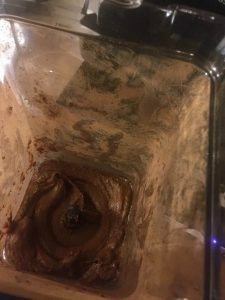 I blended frozen Bananas, cocoa powder, and peanut butter. It was sooo TASTY! Below is a link for more information on the best plant sources for calcium and much more. I ended up having to add two ice cubes to really get it blended. It came out the perfect consistency. Practicing mindfulness is an excellent way to reduce stress and anxiety. Negative stress can lead to disease in body, and sometimes death. When we practice mindfulness in everything we do, we are safer, more efficient, and often calm. 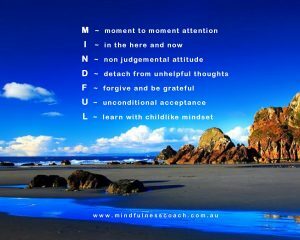 While working, I practice mindfulness everyday with my clients. I must focus on what I am physically doing with my body posture and how I am using it. at the same time, I am focused on the body that needs my therapeutic care. Most importantly, I must stay mindful of how the client is feeling, what they want, and any unspoken ques they may be showing. It is an intuitive dance and in these moments, I feel very peaceful. Now the trick is to practice, so that life is this way in all things. the other day I cut my finger open washing the dishes, because my focus was elsewhere, that wont happen again. ha-ha. That reminds me of something called the grilled cheese theory. growing up when we were given a grilled cheese sandwich usually one side would have burnt. Do to multi tasking. How you do anything in life, is how you will do everything. so, if we give our all, our full attention to the small things we do every day; imagine all the big things we could accomplish. What helps you to focus your mind, when you are being pulled several directions? If you have a busy mind and trouble relaxing, you might like to try guided mediation. I will write more about affirmations soon. If you’re interested, before you so to sleep play this video, see it helps guide you into a deeper sleep. Positive energy and emotions broadens thinking, expands awareness, increase abilities, build resiliency and create an upward spiral of learning and growth. when facing life’s challenges, let us be filled with gratitude, for the opportunity for creativity and growth. keeping a positive outlook in all tings gives us the power to make our dreams our reality. Tell me about your hopes and dreams for the future. 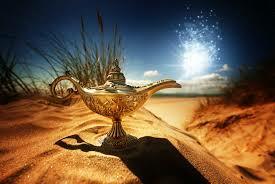 If you found a magic lamp and a genie where to grant you 3 wishes, what would they be?